Post-Whitman life may be difficult for some students to imagine, but it is only a handful of years (or less) away for each of us. While Whitman graduates spread out all over the country and globe, we catch up with several Whitties who chose to stay closer–right here in Walla Walla. 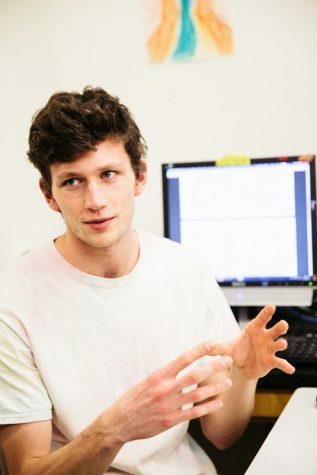 Jack Swain ‘16, who majored in philosophy and art, appreciates the lack of ‘stuff,’ such as deadlines, tests, activities and social obligations, that seemed to bog him down as a student. 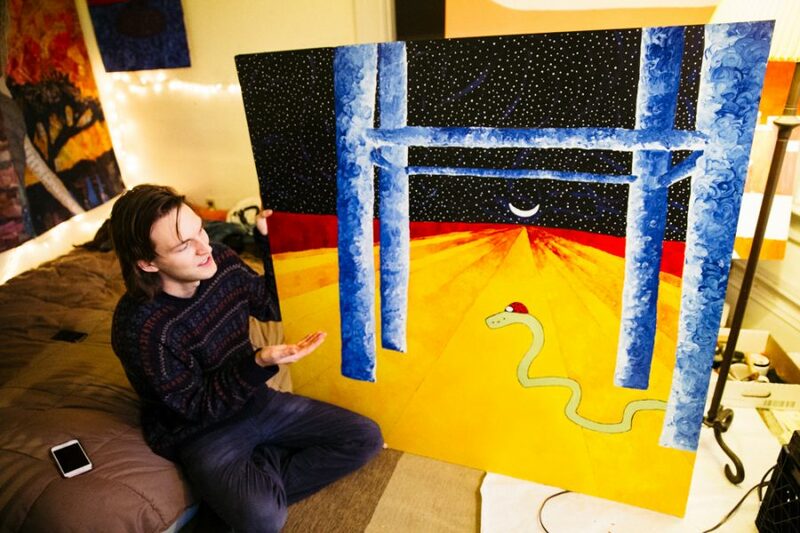 While at Whitman, the best part of his day was always art and music, which confirmed for him that he wanted to pursue those activities upon graduating. As a singer, songwriter, guitar player and member of a band that he originally formed with fellow Whitties to play at Whitman’s annual Blue Moon Fall Party, Swain has been booking solo gigs since his friends moved away. While the band has plans to reunite, Swain’s stint as a solo artist has helped him grow as a person. “When you have to perform by yourself, it really challenges you, you can’t just hide in the shadows…you have to really step up your game…so that’s been really positive to learn how to do that,” Swain remarked. Using the Beatles as inspiration, Swain said that Walla Walla serves as a spot to live for a period of time so that he can spend time working on music and hone in on what he really wants to do. His dream is to produce a radio single that plays all over the world, similar to John Lennon’s “Imagine,” that will inspire progressive, positive thought. “I want to use the radio to create a sort of micro-revolution almost where people will just start loving themselves a little more and start forgiving themselves a little more for their insecurities…[to] just feel better about being alive,” Swain said. As for his art, Swain paints big artworks with the intent to get people to stare at them and really think. His art is dotted with simplistic charm. Swain mentioned that he really likes just putting paint on a canvas and experimenting. 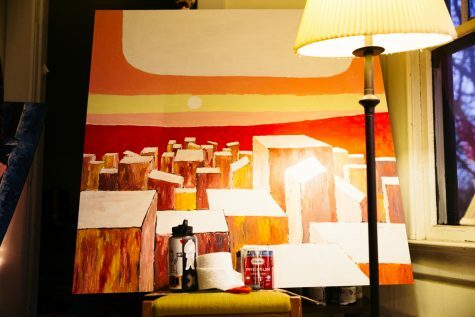 The experience of painting and goofing off with different ideas is more meaningful to him than an aesthetically pleasing, replicable piece, something he talked about in his senior seminar art class. While Swain recognizes that the society we live in, especially as college students, pressures us to fulfill expectations of success and finding a ‘real job,’ Swain has always done his own thing. 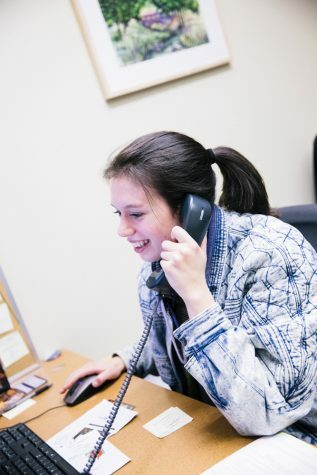 As the Technology and Marketing Fellow to the Student Engagement Center (SEC), Abby Seethoff ‘16 aims to help the SEC communicate about its resources in ways that resonate with students. “I try to think of new ways for us to reach new students, reach different students or just communicate with each other better among the office,” Seethoff said. Seethoff explained that amid the jumble of posters, table toppers and emails that students encounter on a daily basis, both from the SEC and other groups, it can be difficult for the SEC to communicate effectively about its resources. Seethoff is developing an installation-based marketing campaign, set to come out in January 2017, to help the SEC stand out from the advertisement crowd. “When you have something that sticks up or sticks out, that’s what really grabs someone’s attention and changes base level awareness to a desire to act or come to an event,” Seethoff said. Seethoff explains the SEC is especially focused on reaching underrepresented minorities, like first generation and international students. Seethoff enjoys working at Whitman as a recent graduate, but notes there are challenges. “I am here, and the majority of my close Whitman friends have gone off in the world. 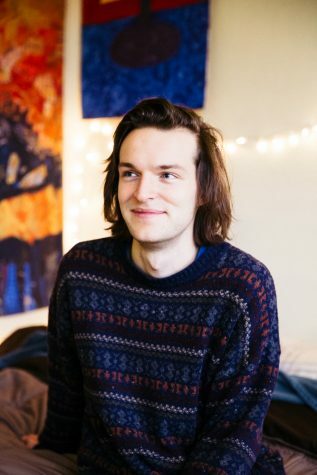 That doesn’t mean that we’re less good of friends, but it’s challenging sometimes that I still live in the rhythms of campus life, and they’re all across the country [or] in other parts of the world,” Seethoff said. Without the time constraints of homework and her varsity volleyball schedule, Seethoff has been able to enjoy aspects of campus she missed out on as a student. “I love being at Whitman without homework. I can just walk through campus and appreciate how beautiful it is and how much is going on on a whole different level,” Seethoff said. Seethoff found herself growing closer to Walla Walla as well, something that began with a summer internship at a local business after her junior year. 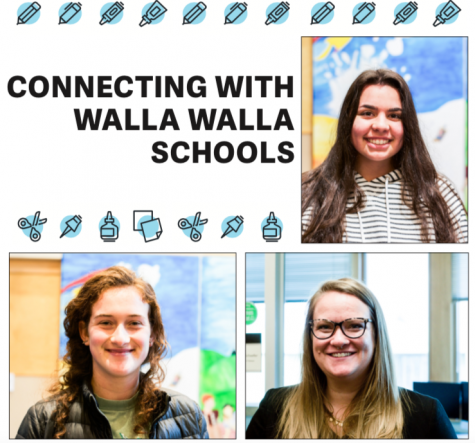 “I really like Walla Walla, because I like smaller places where the pace of life is more relaxed…since having a summer internship and getting to know the community more, I’ve found myself more and more connected to this place,” Seethoff said. 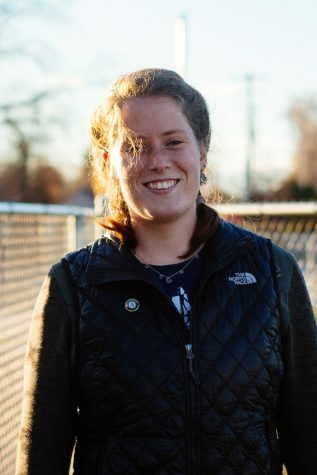 As an AmeriCorps volunteer in affiliation with the Blue Mountain Action Council for the 2016-2017 year, Hannah McCarthy ‘16 engages with food justice and security issues in Walla Walla. McCarthy teaches local kindergarten through fourth grade students about food and gardening, planting seeds of knowledge at Prospect Point, Sharpstein, Edison and Green Park Elementary schools. McCarthy’s passion for food justice and food security led her to accept the position, but her connection to the Walla Walla community inspired her to stay in town for her service. 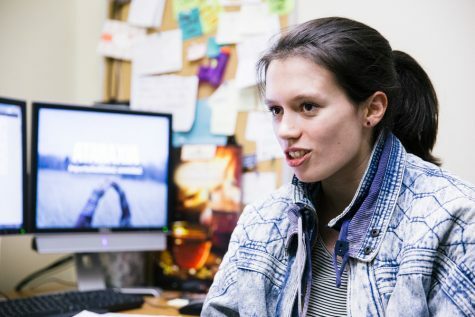 Busy as an economics and environmental science double major and as a resident assistant, McCarthy realized she didn’t know much about Walla Walla when she was already halfway through her Whitman career. “The Whitman bubble that people talk about is real, if you let it be real,” McCarthy said. McCarthy took steps to go beyond the bubble. The summer after her sophomore year, she completed a three-week food systems course that took her to Walla Walla farms and urban farms in Tacoma and Willamette. After the summer course, McCarthy joined the Whitman Glean Team, a club that aims to serve local farmers and food banks by collecting leftover produce after a harvest. Her engagement with Walla Walla farms deepened her understanding of local food justice issues. “I connected with the cause because it’s such an agricultural area, and some of the growers that I was gleaning for were on food stamps themselves and couldn’t get food that they wanted to eat all the time,” McCarthy said. Since she only teaches in the fall and spring, in the meantime, McCarthy is developing a pilot program for winter-themed cooking classes at Edison. As a requirement for the AmeriCorps, McCarthy is engaging in a service-learning project in which she teaches cooking classes at the Salvation Army kitchen for the clients of the SOS clinic, a free clinic in College Place. Her mission is to make healthy eating accessible. As for the future, McCarthy remarks that she has a deep connection to her hometown, Santa Fe, New Mexico. 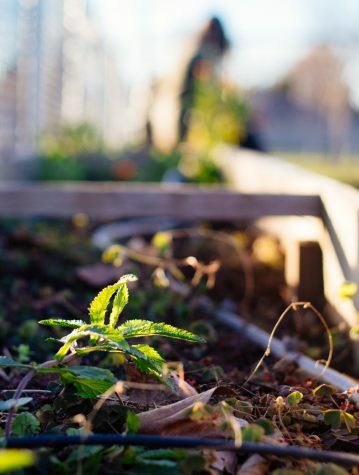 She hopes to eventually teach and implement gardening into the school curriculum there. If that doesn’t work out, she hopes to assist family friends in their garden to table restaurant. However, it is evident that teaching kids is incredibly rewarding for McCarthy. Although she says it is easy to get mired in the details of teaching a lesson, that’s not what she thinks about at the end of the day. “Kids run up to me saying, ‘hi, hi, you’re my garden teacher…it’s good to see you; I’m so excited to eat a tomato today!’ That’s when I feel most rewarded…even for just one kid, if you make them feel better or up their confidence in any little way, that’s just so cool,” McCarthy said. For Robby Dorn ‘16, the gap between attending Whitman as a student and working at Whitman as an alumnus was minimal. 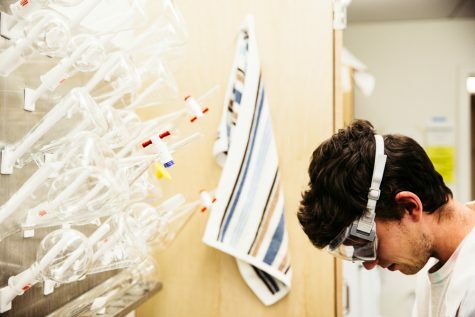 Dorn works as a Postbaccalaureate Research Assistant to organic chemistry Professor Marion Götz. “I went to bed the night of graduation, woke up, and was here [in the lab] by about 9 o’clock the following morning,” Dorn said. Dorn has worked as a research assistant to Götz since the beginning of his junior year. Because of his familiarity with their project, which involves drug design and synthesis, Dorn said Götz allows him relatively free reign over his research. “Since I’ve worked here a decent amount of time, I’ve been able to participate in the planning, and [participate in] what to try next,” Dorn said. Specifically, Götz, Dorn and three student researchers are working to develop a proteasome inhibitor to treat multiple myeloma, a rare disease in which cancerous cells weaken bones. According to the National Cancer Institute, proteasome inhibitors are drugs that block the action of proteasomes, cellular complexes that break down proteins. Dorn and Götz seek to replicate an extremely effective proteasome inhibitor found in a certain bacteria but which does not exist in large enough quantities to be extracted and used to treat someone with multiple myeloma. According to Dorn, his research requires more creativity than he expected. 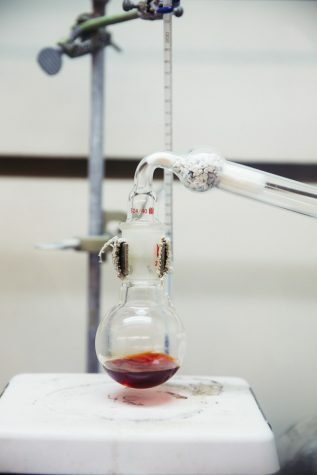 Each step of the process, from extracting a product from a solution to figuring out what combinations of chemicals to test, require thinking critically and going beyond following directions. “I’m a terrible artist but this is kind of my art,” Dorn said. Devising creative solutions has come to be one of the most enjoyable aspects of the job for Dorn. While Dorn works in the lab full time, freedom from homework has enabled him to pursue other interests. “[This work] has lent me slightly more time to do things that I haven’t had the time to do. I went camping more over the summer, I’ve been picking up reading more, and stuff like that,” Dorn said. 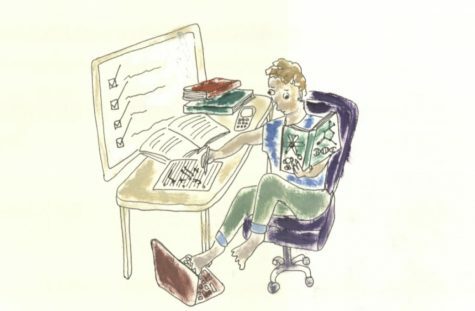 Overall, while navigating campus as a non-student is a little strange, working at Whitman offers many advantages. “I get to walk to my work–I don’t have to commute at all–and then I get to come to this pretty familiar place and..hang out in my own room for the day and work with something I like to do,” Dorn said.